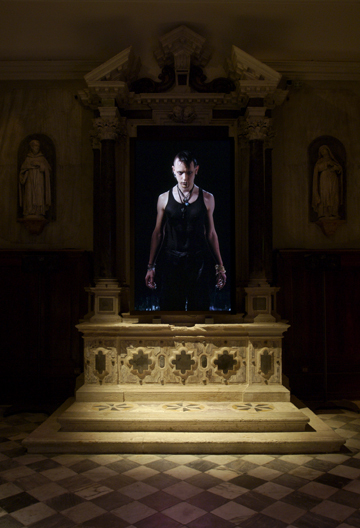 Originally installed inside the intimate 15th century Venetian church of San Gallo as part of the 2007 Venice Biennale incorporating its internal architecture into the piece using the three existing stone altars as support for the video screens, the installation has been recreated in a small darkened room at The National Gallery of Victoria in Melbourne. What an installation it is. Deprived of the ornate surroundings of the altars of the Venetian chapel – altars of which Viola has said that, “… as per the original development of the origins of Christianity these alters actually are a place where the dead kind of reside and connect with those of us, the living, who are here on earth. And they really are a connection between a cross, between a tomb and an alter – a place to pray,”1 – the viewer is forced to concentrate on the images themselves. This is no bad thing, stripping away as it does a formalised, religious response to mortality. In the work Viola combines the use of a primitive twenty five year old security black and white analogue video surveillance camera with a high definition colour video camera through the use of a special mirror prism system. 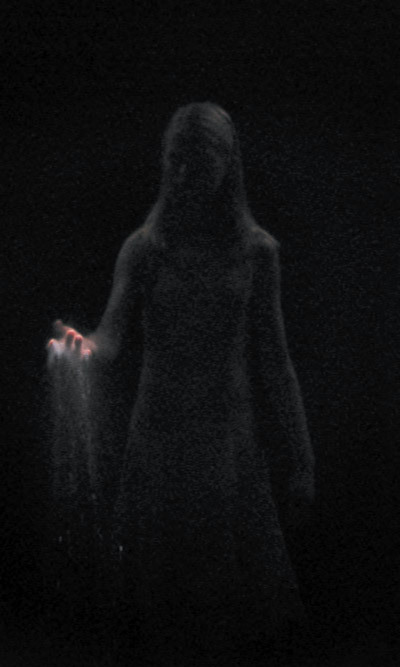 This technology allows for the seamless combination of both inputs: the dead appear far off in a dark obscure place as grey ghosts in a sea of pulsating ‘noise’ and gradually walk towards you, crossing the invisible threshold of a transparent water wall that separates the dead from the living, to appear in the space transformed into a detailed colour image. As they do so the sound that accompanies the transformation grows in intensity reminding me of a jet aircraft. You, the viewer, are transfixed watching every detail as the ghosts cross-over into the light, through a water curtain. The resurrected are pensive, some wringing the hands, some staring into the light. One offers their hands to the viewer in supplication before the tips of the fingers touch the wall of water – the ends turning bright white as they push through the penumbrae of the interface. As they move forward the hands take on a stricken anguish, stretched out in rigour. Slowly the resurrected turn and return to the other side. We watch them as we watch our own mortality, life slipping away one day after another. Here is not the distraction of a commodified society, here is the fact of every human life: that we all pass. The effect on the viewer is both sad but paradoxically uplifting. I cried. A friend who I went with said that the images reminded her not of the dead temporarily coming back to life, but the birth of a new life – the breaking of water at the birth of a child. The performers seemed to her to behave like children brought anew into the world. One of my favourite moments was when the three screens were filled with just noise and a figure then appears out of the beyond, a dim and distant outline creating a transcendental moment. Unfortunately there are no images of these grainy figures. As noted below Viola uses a variety of different ethnic groups and cultures for his performers but the one very small criticism I have is they have no real individuality as people – there are no bikers with tattoos, no cross dressers, no punks because these do not serve his purpose. There is the black woman, the old woman, the middle aged man, the younger 30s man in black t-shirt: these are generic archetypes of humanity moulded to Viola’s artistic vision. Viola has commented, “I think I have designed a piece that’s open ended enough, where the people and the range of people, the kind of people we chose are from various ethnic groups and cultures. And I think that the feeling of more this is a piece about humanity and it’s about the fragility of life, like the borderline between life and death is actually not a hard wall, it’s not to be opened with a lock and key, its actually very fragile, very tenuous. 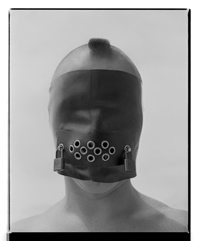 These series of encounters at the intersection of life and death are worthy of the best work of this brilliant artist. He continues to astound with his prescience, addressing what is undeniable in the human condition. Long may he continue. they are in the shadows.